Glaucoma, one of the leading causes of blindness in the United States, is a group of eye conditions that can cause optic nerve damage. Because glaucoma is treatable if detected early, regular eye exams are a critical part of maintaining eye health and good vision, particularly as you age. Read on to learn more about the various tests used to diagnose glaucoma. According to the Glaucoma Research Foundation, everyone should be tested for glaucoma every two years before the age of 40; every one to three years between ages 40 and 54; every one to two years between 54 and 65; and every six to twelve months after age 65. Those at high risk for developing glaucoma, including African-Americans, Asians, those with a family history of glaucoma, and steroid users, should be tested every year after age 35. Regular glaucoma screenings test both the pressure of the inner eye and the shape and color of the optic nerve. For the first test, tonometry, the eye is numbed and a small amount of pressure is applied to the eye, usually with a warm puff of air. Eye pressure outside the normal range may indicate the need for further tests. The second screening, ophthalmoscopy, uses eye drops to dilate the pupil so that the doctor can magnify and examine the optic nerve. Again, abnormalities may indicate the need for further testing. If your doctor suspects glaucoma, there are three additional tests that are used to make a definitive diagnosis. Perimetry uses light to help the doctor make a map of your complete field of vision. Gonioscopy uses a mirrored contact lens to examine the angle at which the iris of the eye meets the cornea; either excessively large or small angles could indicate a problem. Pachymetry uses a probe to measure the thickness of the cornea. The results of these tests, along with the initial screenings, are used to determine whether glaucoma is present. While glaucoma is not curable, treatment can help prevent vision loss if you are diagnosed. The first line of defense is typically medicated eye drops that are designed to lower the pressure of your eye. If these are not effective, oral medications may also be prescribed. 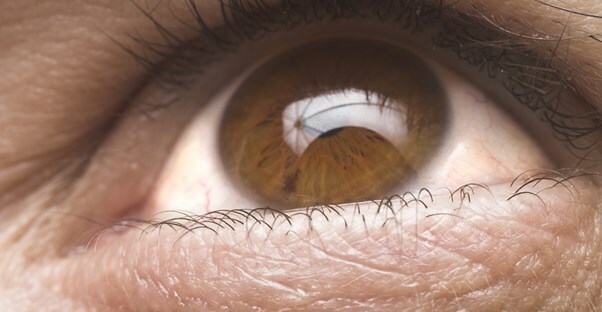 If glaucoma continues to worsen despite these treatments, surgery may be necessary. Lifestyle changes can also help reduce symptoms; these changes include eating a nutritious diet, exercising regularly, avoiding caffeine, and staying hydrated throughout the day.